A rustic, wire wrapped, Agate geode slice for your Boho style. 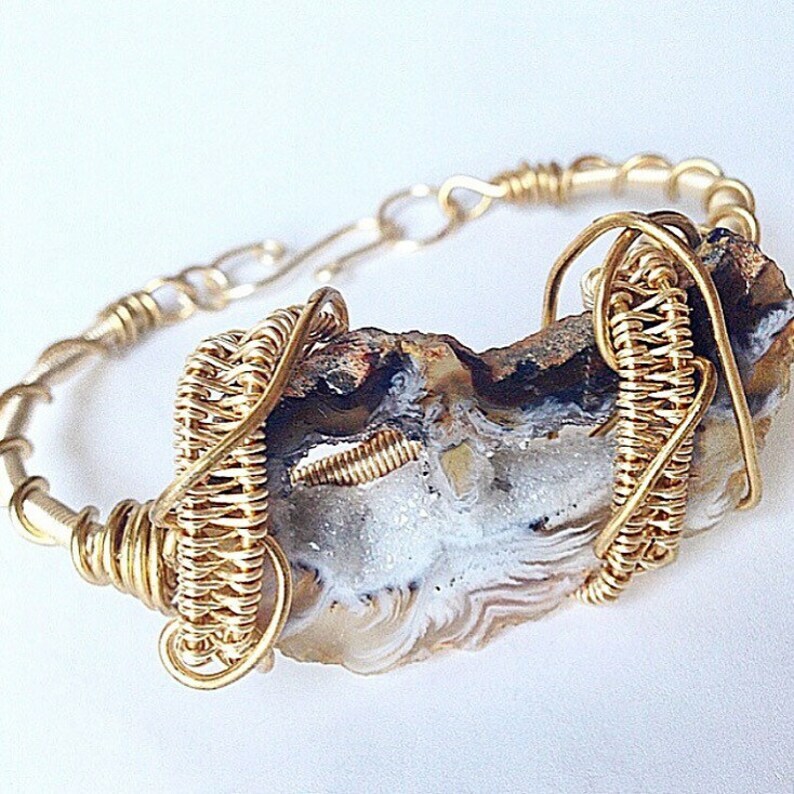 A gorgeous, patterned geode slice, with druzy crystals, is the focal in this golden bracelet. The slice makes a bold statement, while the coiled wrap adds a delicate, feminine touch. This bangle is perfect for your casual fashions, and a beautiful touch for flowing, bohemian styles.